MYTH-BUSTING SOCIAL MEDIA ADVERTISING Do ads on social Web sites work? Multi-touch attribution makes it possible to separate the facts from fiction. 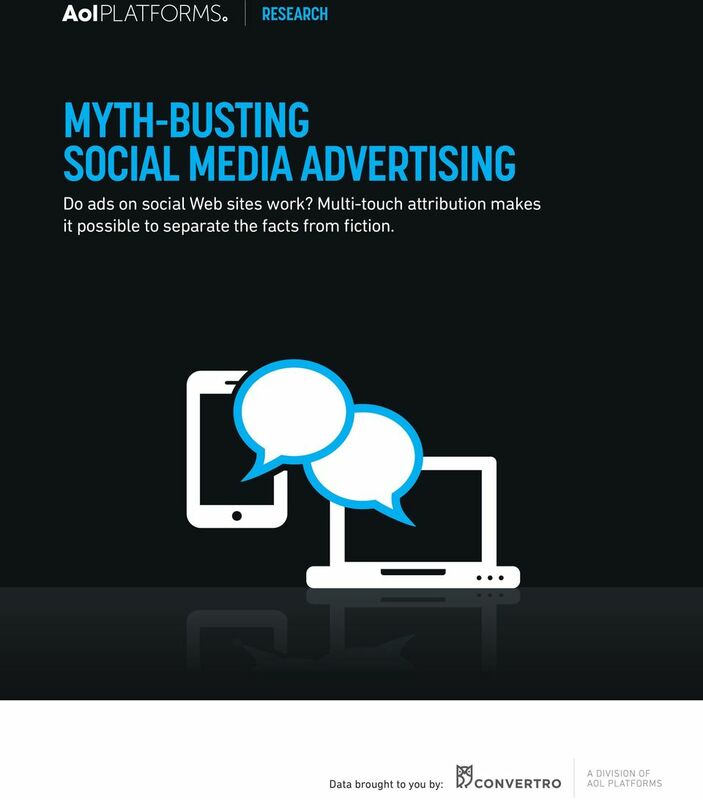 Download "MYTH-BUSTING SOCIAL MEDIA ADVERTISING Do ads on social Web sites work? Multi-touch attribution makes it possible to separate the facts from fiction." 2 In recent years, social media has emerged as one of the most popular marketing tools to reach consumers, with companies like Twitter, Pinterest, Facebook, LinkedIn, YouTube and others vying for advertising dollars. As with other marketing channels, it has become vital for marketers to understand the absolute value of their investments in social channels or change tactics accordingly. Marketers intuitively know the power of social media and its virality, but they also want metrics that go beyond tracking clicks, likes and retweets. This includes more qualitative measurement to better explain the return on investment (ROI), such as how a specific social channel influenced a purchase online or in-store. To understand how social media channels contribute to an advertiser s efforts, we leveraged Convertro s multi-touch attribution technology to analyze all social media exposures that occurred in Q across its entire client base. 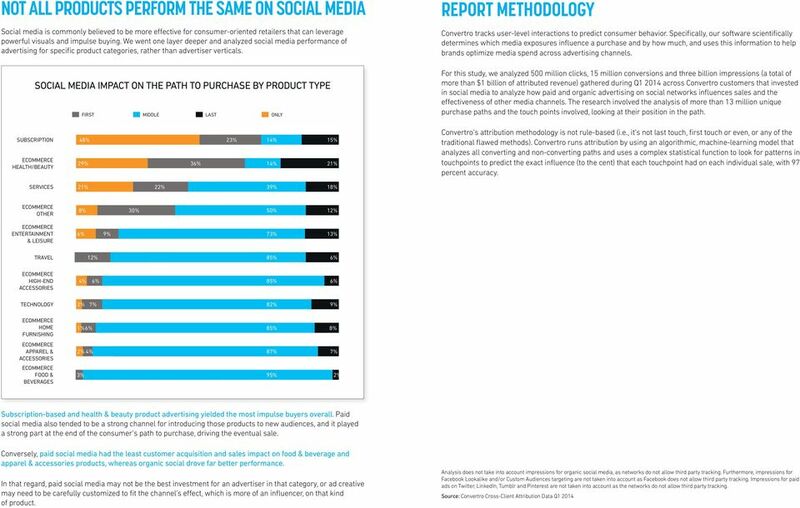 This data uncovers how social channels influenced sales conversions and to what extent, and how brands can use this information to optimize their media spend. 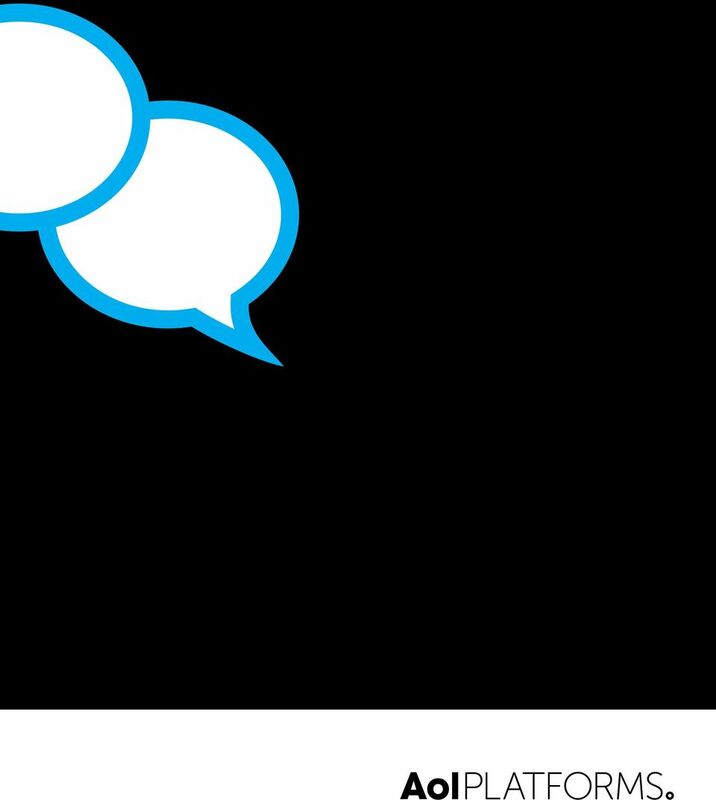 To reveal true user action, this report is based on real world, third party customer data rather than relying on survey data, which can be unreliable. Key takeaways include: SOCIAL MEDIA WORKS FOR S. Social provides significant impact on a customer s path to purchase and strongly influences their buying decisions. PAID SOCIAL PERFORMS. Paid social media advertising transforms the medium from an influencer tool into an effective upper and lower funnel solution that directly moves the needle on sales. 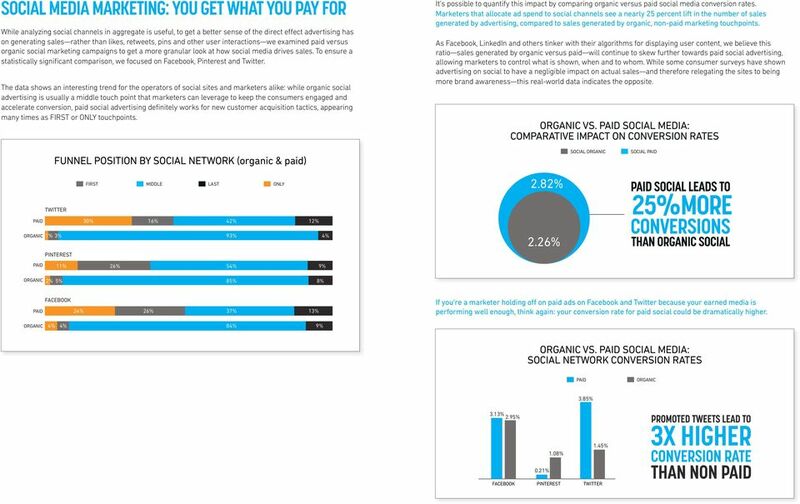 PAID ADVERTISING PERFORMANCE DIFFERS ON EACH SOCIAL NETWORK. Some social networks are more conducive to awareness vs. conversions. THE VALUE OF SOCIAL DEPENDS ON PRODUCT VERTICAL. Social performance is not ubiquitous across all advertiser verticals it varies by channel and product category. 3 MEASURING SOCIAL MEDIA WITH MULTI-TOUCH ATTRIBUTION There are several ways in which advertising can influence a customer along the purchase path. We have classified these touchpoints into four categories, which constitutes the data layers of our analysis: IMPRESSION DIRECT SITE VISIT MOBILE CLICK SOCIAL MEDIA VS. THE (MARKETING) WORLD News stories about advertisers increasing their spend on social have dominated many of the headlines recently and with good reason. emarketer estimates that spending on social media ads will hit $6.6 billion in the US this year, growing more than 46 percent from Spending on social certainly allows marketers to reach incremental audiences that they may not necessarily get through TV and other media channels. However, it s important to understand how a brand s presence on those sites, from a paid and organic standpoint, affects the path of a consumer s journey towards purchasing a product. 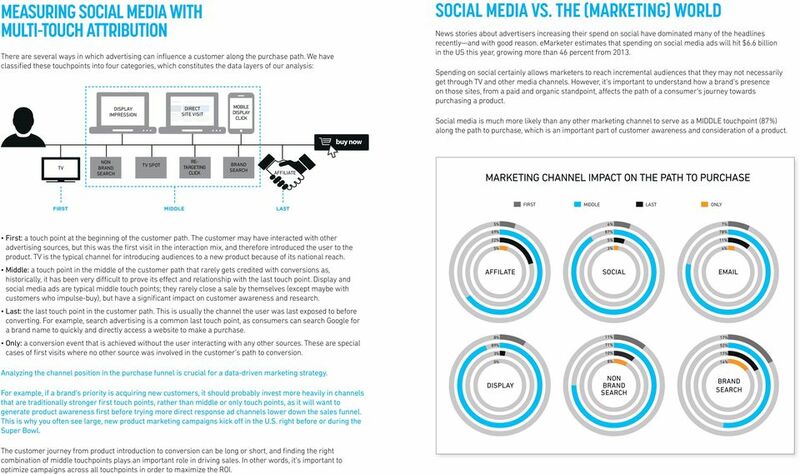 Social media is much more likely than any other marketing channel to serve as a MIDDLE touchpoint (87%) along the path to purchase, which is an important part of customer awareness and consideration of a product. TV NON TV SPOT RE- TARGETING CLICK AFFILIATE MARKETING CHANNEL IMPACT ON THE PATH TO PURCHASE FIRST MIDDLE LAST 5% 6% 7% First: a touch point at the beginning of the customer path. The customer may have interacted with other advertising sources, but this was the first visit in the interaction mix, and therefore introduced the user to the product. TV is the typical channel for introducing audiences to a new product because of its national reach. 69% 22% 5% 87% 5% 3% 78% 11% 4% Middle: a touch point in the middle of the customer path that rarely gets credited with conversions as, historically, it has been very difficult to prove its effect and relationship with the last touch point. Display and social media ads are typical middle touch points; they rarely close a sale by themselves (except maybe with customers who impulse-buy), but have a significant impact on customer awareness and research. AFFILATE SOCIAL Last: the last touch point in the customer path. This is usually the channel the user was last exposed to before converting. For example, search advertising is a common last touch point, as consumers can search Google for a brand name to quickly and directly access a website to make a purchase. Only: a conversion event that is achieved without the user interacting with any other sources. These are special cases of first visits where no other source was involved in the customer s path to conversion. 8% 89% 3% 0% 11% 71% 10% 8% 17% 52% 17% 14% Analyzing the channel position in the purchase funnel is crucial for a data-driven marketing strategy. For example, if a brand s priority is acquiring new customers, it should probably invest more heavily in channels that are traditionally stronger first touch points, rather than middle or only touch points, as it will want to generate product awareness first before trying more direct response ad channels lower down the sales funnel. This is why you often see large, new product marketing campaigns kick off in the U.S. right before or during the Super Bowl. NON The customer journey from product introduction to conversion can be long or short, and finding the right combination of middle touchpoints plays an important role in driving sales. In other words, it s important to optimize campaigns across all touchpoints in order to maximize the ROI. SocialCode is a marketing partner for Facebook, Twitter, LinkedIn, Pinterest, Instagram and Pinterest. The Evolution of Social Media Marketing: 9 trends to know now. 0 The Essential Guide 2015 Net Net Media Planet Ltd. Ltd. All All Rights Reserved. 1 Executive Summary Delivering the right advert to the right consumer at the right time is the key goal for advertisers. The State of the Internet 2 nd Quarter 2012 #SOI12 Agenda 1. The State of the Internet Overview 2. Competition in Online Music 3. Traffic Patterns in Online Video 4. The Changing Face of Social Media 5. Social media has CHANGED THE WORLD as we know it by connecting people, ideas and products across the globe. 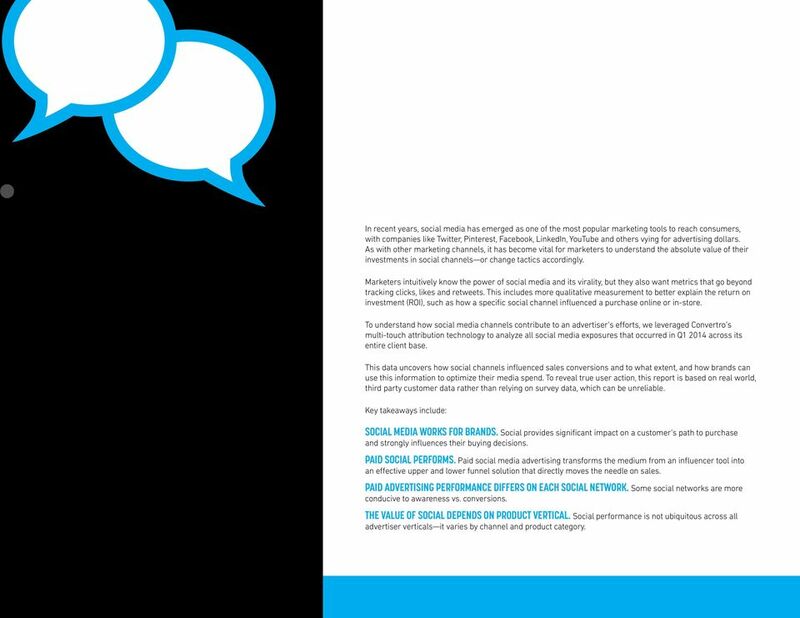 The Earned Media Value Index A BENCHMARK GUIDE TO THE VALUE OF SOCIAL ENDORSEMENTS. Your brand story. Told by by many. Understand how PPC can help you achieve your marketing objectives at every stage of the sales funnel. 5 Point Social Media Action Plan. INCREASE YOUR VISIBILITY. IMPROVE YOUR REPUTATION.